In her hardcover debut, from the author of Cracked Up To Be and This is Not a Test, comes a powerful new young adult novel. The sheriff’s son, Kellan Turner, is not the golden boy everyone thinks he is, and Romy Grey knows that for a fact. Because no one wants to believe a girl from the wrong side of town, the truth about him has cost her everything—friends, family, and her community. Branded a liar and bullied relentlessly by a group of kids she used to hang out with, Romy’s only refuge is the diner where she works outside of town. No one knows her name or her past there; she can finally be anonymous.But when a girl with ties to both Romy and Kellan goes missing after a party, and news of him assaulting another girl in a town close by gets out, Romy must decide whether she wants to fight or carry the burden of knowing more girls could get hurt if she doesn’t speak up. Nobody believed her the first time—and they certainly won’t now—but the cost of her silence might be more than she can bear. and I really enjoyed the story. All The Rage sounds like it's going to be a really intense read as well. and I this book will be the perfect read. I just saw this one somewhere else! I think it's going to be a little too rough for me to read, but I hope you love it! This sounds like an emotional read. I have it on my tbr as well. I hope we both enjoy it. I'm still reading This is Not a Test, I should really finish it this Halloween season. This sounds super dark but intriguing! I still have yet to read This is Not a Test but I plan to soon. This one sounds good too. This was my pick for waiting on Wednesday too. 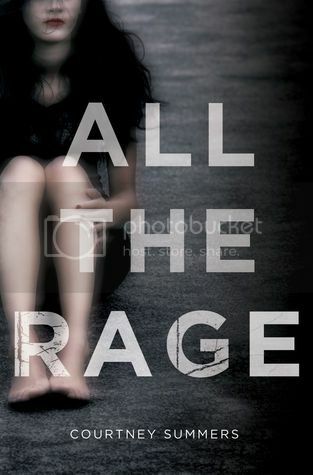 Have you read the excerpt for All the Rage on Courtney's website? If you haven't, you must! I really, really want to read this book! I just think it sounds so relevant, and could be a really emotional and compelling story. Great pick! !